Situated between Fort Lauderdale and Miami on the pristine white sand beaches of Sunny Isles Beach, Acqualina Resort & Spa on the Beach is an enchanting Mediterranean villa with an atmosphere that embodies the spirit of luxury, serenity and enjoyment. Located on 4.5 beachfront acres with 400 feet of stunning Atlantic Ocean coastline, the luxury Miami hotel features 98-luxury rooms and 188 lavish residences, a 20,000 s.f. 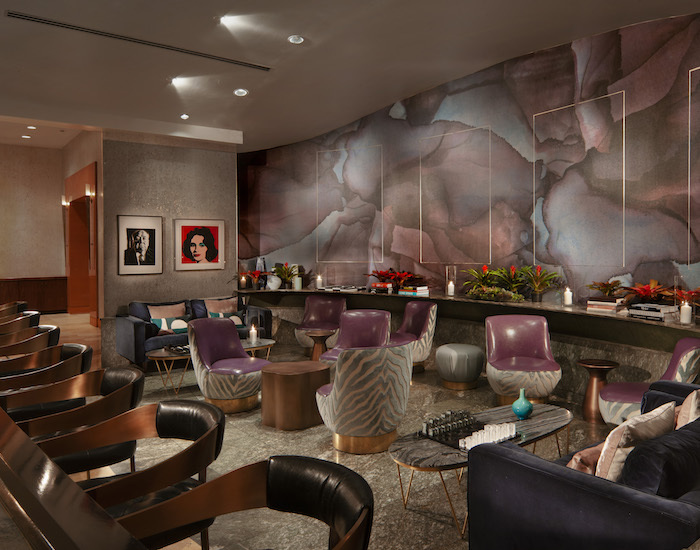 ESPA oceanfront spa, three oceanfront dining areas including the acclaimed Il Mulino New York restaurant, three oceanfront swimming pools and an innovative marine biology-based AcquaMarine children’s program. Guests of Acqualina enjoy luxurious Miami Beach vacations with world-class services and endless opportunity to relax and rejuvenate. No resort fees! 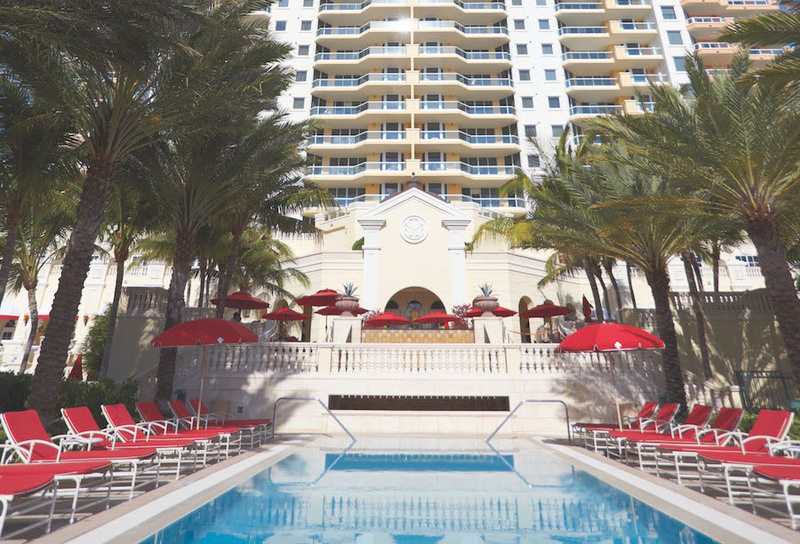 As a full service resort, Acqualina provides complimentary beach umbrellas, plush lounges and a pool concierge that brings chilled towels, iced grapes and fruits, and delicious smoothies to guests every hour. To completely submerge yourself in Acqualina’s elegant ambiance and seaside serenity, a weekend retreat just isn’t long enough. Therefore, we are delighted to extend your stay by offering a fourth night free. *Subject to availability. Blackout dates apply. 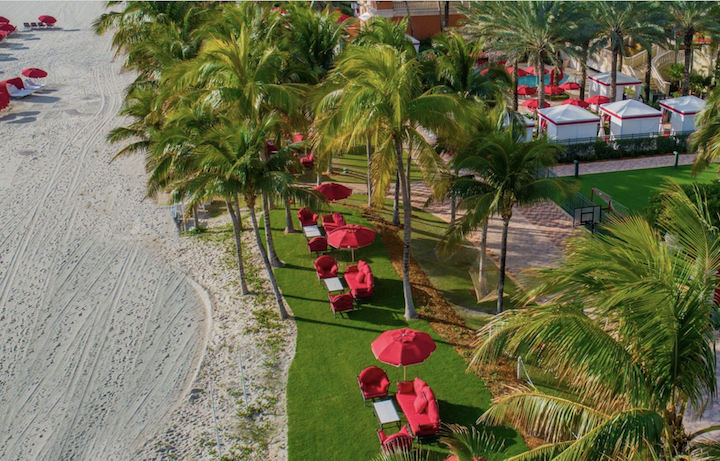 Acqualina Resort is honored to be awarded the Forbes Travel Guide Five Star Award for the seventh consecutive year. In celebration of our latest achievements, we invite you to experience our opulent resort with our Five Star Celebration Package. To capture memories of your stay, guests will also receive a Sweet Alhambra Bracelet in rose gold and carnelian by Van Cleef & Arpels. *Subject to availability. Blackout dates apply. Minimum 5 night stay required. Not combinable with other offers. Gather your girl friends for a relaxing getaway at Acqualina Resort & Spa. From revitalizing spa rituals to relaxing dips in our oceanfront pools, Acqualina is your beach sanctuary for memories with your friends. Bask in the splendor of Sunny Isles Beach as you sunbathe by the glistening Atlantic Ocean, indulge in world-class cuisine at our acclaimed resort restaurants, and indulge yourselves in our 20,000-square-foot, five star spa. 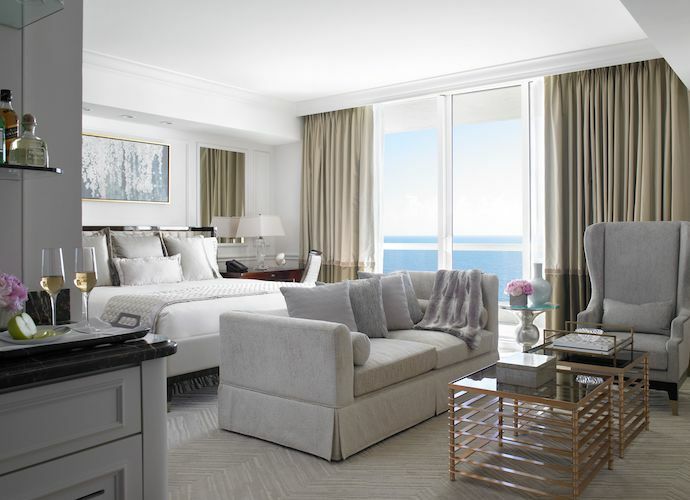 In celebration of the Forbes Five Star for the seventh consecutive year, we invite our guests to stay a little longer and enjoy a complimentary fifth night when reserving one of Acqualina’s one-of-a-kind oceanfront Suites. Take your love story to Acqualina Resort with the Romance Inspired Package. Whether it’s having an intimate dinner on the beach or indulging in a couples massage, Acqualina is the best place to have a romantic getaway with your loved one. *Subject to availability. Blackout dates apply. Minimum 3 night stay required. Not Combinable with Other Offers. Refresh your spirit and revitalize your senses with a loved one, friend or family member by indulging in the Ultimate Spa Package for Two at Acqualina Spa by ESPA. Our Forbes Travel Guide Five Star Spa is the perfect place to lounge, sunbathe, and dine in serenity as you gaze at luxurious vistas of the Atlantic Ocean. Turn back the clock with the latest technology in skincare treatment to lift and firm your skin. This advanced facial begins with a resurfacing session of orbital microdermabrasion to restore radiance for a more youthful glow. Micro Current Lifting techniques are incorporated into the treatment to regain cell memory and restore firmness. LED light therapy is then used to reduce the appearance of fine lines and wrinkles and an advanced collagen hydro mask is applied to deeply nourish the skin. 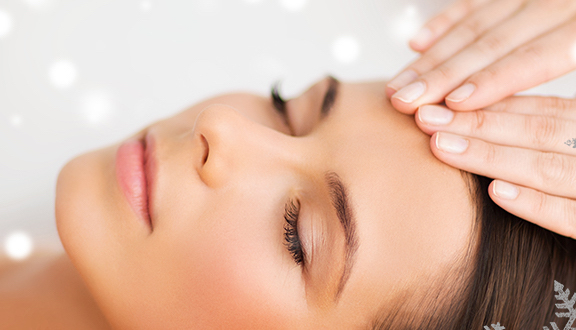 Highly effective, this facial leaves the skin feeling younger and visibly lifted, toned and hydrated. The moment guests arrive at AQ Chop House, their eyes will be instantly drawn to the giant, 1930s art-deco style chandelier that hangs from the soaring ceiling. The sweeping ocean views and natural light pouring in through the majestic windows highlight the handmade walnut dining tables and plush seating. Menu highlights include sheep’s milk ricotta with sea salt & extra virgin olive oil, branzino crudo with blood orange & frisee, grilled octopus, short rib ravioli with sage & butter, grilled fish and prime dry-age meats as well as delectable sides from truffle french fries, broccoli rabe to cream of corn and sauté cauliflower with raisins. Located nearby, a full sushi and raw bar managed by sushi chefs from North Miami Beach’s famed pan-Asian restaurant, Hiro’s Yakko-San, is available. Join us every Sunday from 12 pm – pm at AQ Chop House for a special brunch buffet by Il Mulino New York while enjoying live music. Adults $85 (unlimited Mimosas, Prosecco, Mojitos and Bloody Marys), children ages 13 and under $35 (tax and gratuity not included). 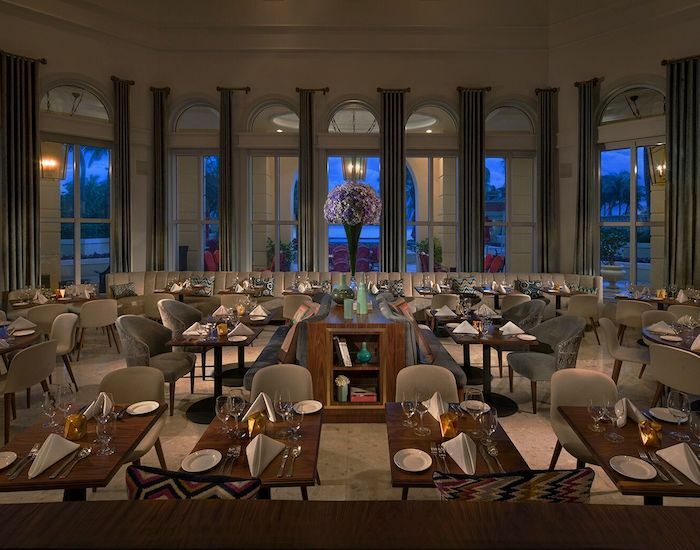 An idyllic match for the elegant Mediterranean style oceanfront Acqualina Resort, acclaimed Italian restaurant Il Mulino New York is renowned for its bustling and energetic atmosphere, market fresh daily specials extensive selection of fine Italian wines and impeccably polished wait staff. Il Mulino New York at Aqualina Resort and Spa has been awarded the Forbes Travel Guide Recommended Award for its exceptional dining experience. Il Mulino New York has been honored as the #1 Italian restaurant on the New York City Zagat Survey for an astonishing 20 years. Join us every Saturday and Sunday from 12 pm to 4 pm in AQ at Acqualina for a special brunch buffet by Il Mulino New York while enjoying live music. Adults $85 (unlimited Mimosas, Prosecco, Mojitos and Bloody Marys), Adults $65 (beverages not included), children ages 13 and under $35 (tax and gratuity not included). To make a reservation, call 305.466.9191. 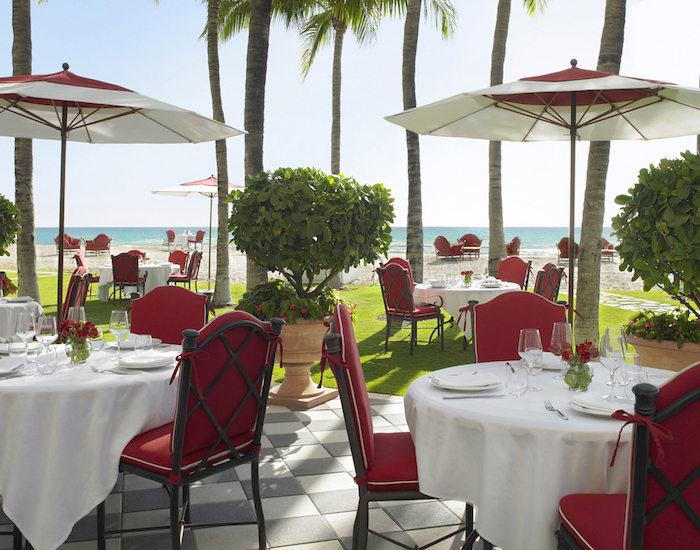 Il Mulino serves breakfast daily in AQ by Acqualina from 7 am – 11 am. Lunch from 12 pm – 2:30 pm daily. 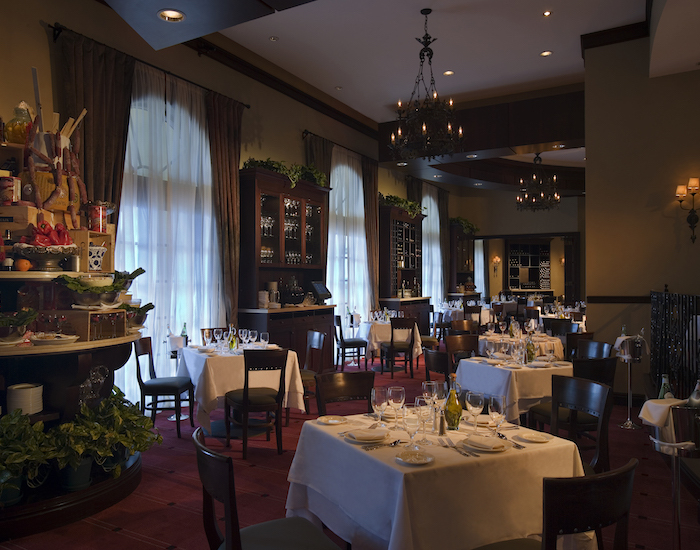 Dinner is served from 5:30 pm – 11 pm every day. AQ Bar, adjoining the AQ Chop House by Il Mulino restaurant is inspired by the smooth and sultry era of the Parisian jazz movement, the stylish interiors stimulate creativity and intellectual conversations while guests sip hand-crafted cocktails and play chess or backgammon on custom art-inspired game sets. Brass finishes, an antique mirror and midcentury modern furniture create an eclectic vibe. In partnership with Fine Art Mia, an elaborate collection of original contemporary art adorns the walls of the bar creating a gallery feel. AQ Bar provides an excellent option for cocktail hour and pre- and post-dinner drinks. In addition to high-quality wine and champagne menu enjoy the traditional as well as our mixologist’s own unique creations. Costa Grill is open daily from 11 am – 6 pm for Resort Guests, Residents and Beach Club Members only. Acqualina Resort & Spa invites you to plan your upcoming corporate events, executive board meetings, and holiday gatherings at its spectacular seaside resort. Acqualina recognizes the importance of a great venue and personalized service when it comes to meetings and events. With an executive boardroom and meeting spaces that include wraparound, oceanfront terraces, state-of-the-art technology, and the hotel’s team of event professionals, Acqualina is the ideal setting for your next corporate event. 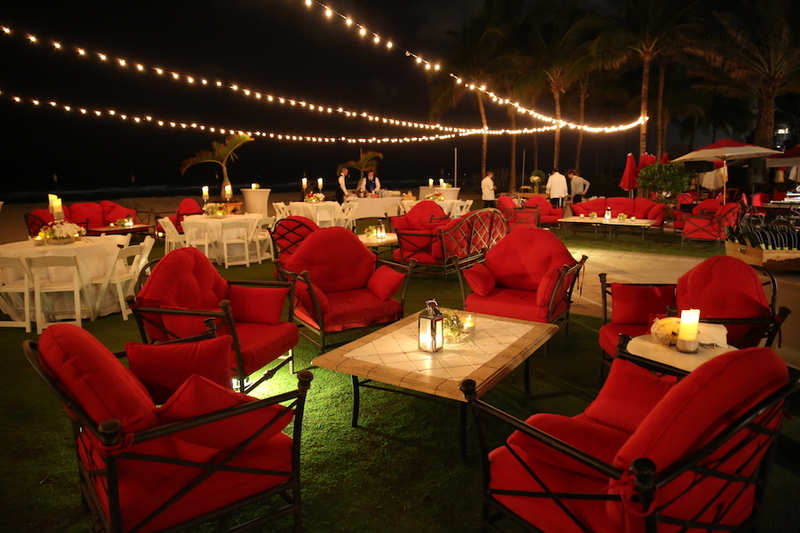 Acqualina also features three ideal settings to book your gathering that include a poolside location, a great lawn with brilliant ocean views, and a front lawn, situated steps from the Atlantic Ocean. Acqualina’s expert catering team specializes in customizing an impeccable event suitable to your company’s needs. 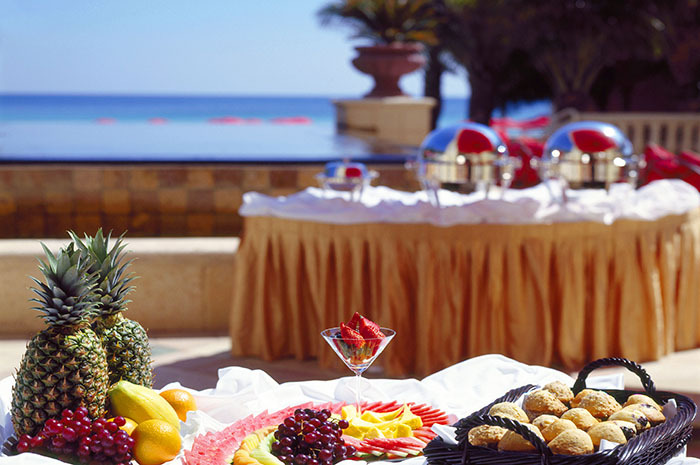 When it comes to this year’s meetings, parties, and events, allow Acqualina Resort & Spa’s world-renowned Five Star service, magnificent ocean views, and delectable cuisine help to make your event a great success. For more information, please contact Catering Manager, Jessica Roldan, at 305.918.6774 or email her at jessica.roldan@acqualina.com.